Cats are the independent pet and we seem to think that hacking up a hairball is just normal behavior. Learn the difference between coughing up hairballs and having a serious choking issue. Reacting appropriately could be the difference between life and death for your feline friend. 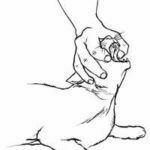 If you are unsure how to deal with a choking cat, take the time to review these steps. Consider a pet first aid and CPR class to learn the various ways to help your cat if he is injured or medically distressed. Grab tweezers. Open your cat’s mouth and look inside. You may need to gently pull his tongue out so you can see and work. This might actually dislodge what was choking him. If not, use the tweezers to gently remove the obstruction. Something like a hairball might come out in bits. Pay attention to your cat who might be able to cough out the item after you get some of it out. Be careful not a get bit by a panicking cat. CAUTION: Do not pull string, yarn or anything else that is string-like. If it is wrapped and caught on something, pulling on it will cause internal injury to your cat. Get your cat the veterinarian as soon as possible. With the base of your palm, locate the space between his shoulder blades along his back. Give a firm Back Blow with the base of your palm that moves down and toward your cat’s head. Firm is not hard. Your cat is small and not as robustly built as your Golden Retriever ot Uncle Joe. Repeat five back blows to see if that helps your cat cough it up. There is no need to continue if your cat relaxes and is able to cough it up. Just monitor him for a while. 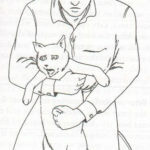 Perform the Heimlich Maneuver on your cat. This is also known as an Abdominal Thrust. Place your fist in the abdomen of your cat from above and behind him, pulling his hindquarters up onto your lap. With your other hand, hold your cat to stabilize him then press inwards. The idea is to create enough air thrust to propel the object out. Be careful not to use a lot of force especially on smaller cats. While this isn’t considered an aggressive or invasive emergency procedure, it can lead to internal injury if done at the wrong place or too forcefully. Continue until you know your cat is able to sufficiently and calmly continue breathing on his own. If he starts to cough it up, keep an eye on him until you are certain he won’t start choking again. It might take several attempts to dislodge something in a choking cat. If your cat becomes unconscious, start Pet CPR. You can check your cat’s pulse on his inner hind leg at the femoral artery. Look at this guide for Pet CPR steps. There are several signs you can watch for to determine if your cat is choking. Cats will paw at their mouth and even drool which is very unusual for felines. They will cough or gag and start to develop anxiety very quickly. Breathing becomes labored and your cat may faint or fall unconscious if the obstruction is severe enough. Start steps to help a choking cat if your cat is experiencing a combination of these signs. Your cat could be choking because something is stuck in his throat and obstructing his airways. He could also have a medical issue that is more serious or something else might be restricting his ability to breath. Don’t assume every cough and hack is the result of a hairball. Some cats are prone to having more hairballs than others but even then, hairballs tend to be seasonal. They occur more frequently when a cat sheds his winter coat and are created as he licks and cleans himself. The reality is cats really shouldn’t develop more than a couple of hairballs annually. If your cat is experiencing more frequent occurrences, talk to your veterinarian. There may be something more serious going on or he might just be accidentally ingesting dust and a myriad of dog or human hair along with his own fur. 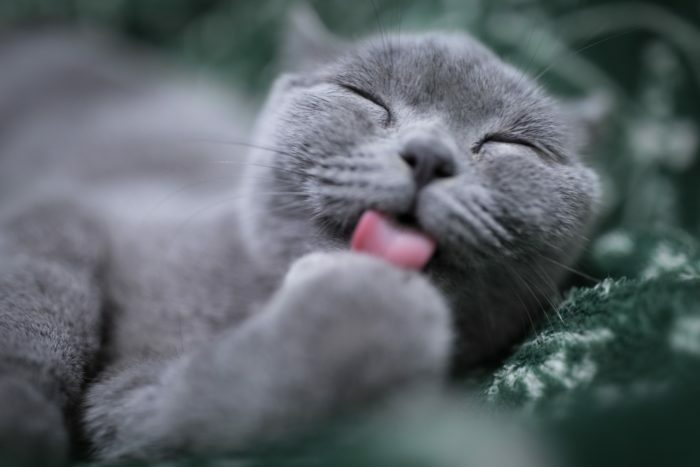 You can help reduce the problem of hairballs with special treats that have mineral oil or petroleum jelly as an ingredient. This helps lubricate the cat’s throat so everything can smoothly go down. MacGyver cat owners are known to do-it-themselves with a dab or petroleum jelly on the cat’s nose. He licks his nose, voila. As with all first aid and emergency procedures, take caution to keep yourself safe when helping a choking cat. The best action is always prevention. 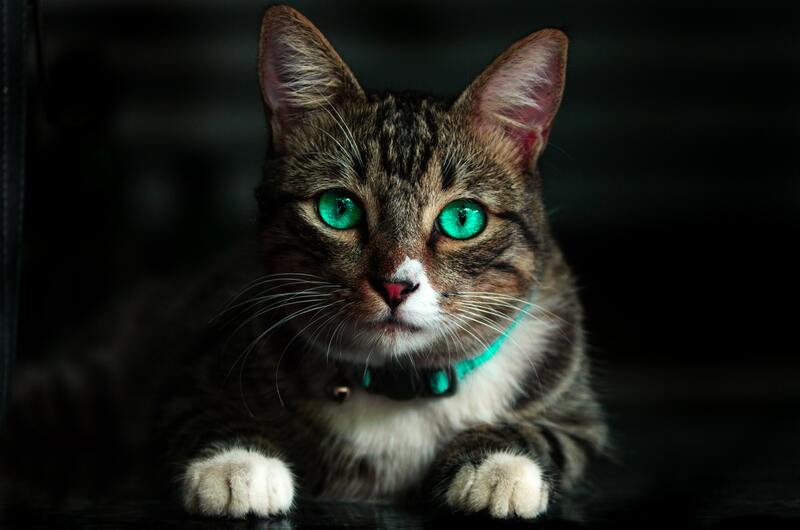 Know your cat’s normal routines and monitor them when playing with toys or eating. Pay attention to thing around the house your cat might get into or has already gotten into. Know your cat’s normal behavior and always take a moment to examine your cat when something isn’t in his normal behavior patterns. When in doubt, go to the veterinarian. For chronic choking issues in your cat, you’ll want to make sure something else beyond a hairball isn’t the problem. Any cat that falls unconscious should be taken to the veterinarian as soon as possible. Be Safe Smart. Keep Pets Safe. Safe pets reduce veterinarian bills, prevent escapes and unwanted incidents. Safer Family Pets supports local animal charities with every purchase. Be Safe Smart with your fur-babies. Copyrights © 2019 Safer Family Pets • All Rights Reserved.